Consumers may soon have more safety information about generic drugs, and they may also have the ability to sue manufacturers if they experience an adverse reaction. Dr Sid Wolfe says these changes are long overdue. As founder and senior adviser of the nonprofit advocacy organization Public Citizen, these are among hundreds of changes he’s pushed for over the last four decades. His best-selling book, “Worst Pills, Best Pills,” first published in 1988, details critical safety information on common prescription drugs. Dr. Sid Wolfe talks about the drug approval process, drug safety and his 40-year career as a consumer health advocate. Dr. Sidney Wolfe Director of the Health Research Group at Public Citizen and editor of WorstPills.org. MS. DIANE REHMThanks for joining us. I'm Diane Rehm. For decades Dr. Sidney Wolfe has been a consumer health safety advocate. Most recently he's been sounding alarms about two new drugs already approved to treat obesity. MS. DIANE REHMAfter more than 40 years he's stepping down as director of the Health Safety Group at Public Citizen. Dr. Wolfe joins me to talk about his career as a consumer health advocate and why he believes we still don't know what we should do about the doctors who treat us and many of the prescription drugs we take. MS. DIANE REHMYou are welcome to join the conversation. Give us a call at 800-433-8850. Send us an email to drshow@wamu.org. Follow us on Facebook or send us a tweet. Good morning, it's good to see you again. DR. SIDNEY WOLFEGood morning Diane, as always. REHMThank you and tell us why you're stepping aside as director of health policy at Public Citizen? WOLFEWell, when Ralph Nader and I started the Health Research Group 42 years ago I was excited. I told him a year after I started it would be the last job I ever had in my life and it's been that way and it's been as good, or better than I could have expected. WOLFEBut more recently I've started saying I think that this work is important. I want to make sure it goes on. And so fortunately I've been able to recruit Dr. Michael Carome who was on your program recently who has, as of the beginning of June, taken over the group and I am completely confident that the group will go on. WOLFE...from what has been much longer for the last 40 years and will probably be able to even focus more than I have on drug safety issues. I mean that's the thing we've, as you know, spent most of our time on so I'm still with it. WOLFEI'm part of the organization and Dr. Michael Carome has taken over and I couldn't be more delighted because I'm now. I think a lot of people like to think if their work is good that they'd like to keep it going and it's not quite magical but it's difficult to find someone who really can do it. Dr. Carome will be able to do it. REHMTell us about this new diet drug, Belviq. WOLFEWell, there are two new diet drugs. The most recent of which was approved is Belviq. Now I think the larger picture is why are these two diet drugs that have serious problems and aren't really that good on the market here? And they've been turned back. They're not on the market in Europe. WOLFEIs it that Americans are more resistant to the adverse effects than Europeans? Or is it that the European drug regulators are more resistant to the drug industry? REHMWhat do these drugs do supposedly? WOLFEWell, Belviq, the one you mentioned because it was most recently put on the market causes a weight loss of maybe 3 percent more than a placebo. Well, if you weigh 200 pounds, 3 percent is 6 pounds. It's not a lot and it's not going to make a difference. It is statistically better than taking a placebo but what about the risks? WOLFEWhen this drug Belviq was in clinical trials before it was approved there was an increase in heart valve damage not quite statistically significant but a big increase causing worry on a lot of people's parts including our own. What's of interest is that one of the most widely-used diet drugs ever, Fen-Phen, was taken off the market because it caused heart valve damage and it's in the same chemical class and unlike Belviq when Phen-Fen, fenfluramine, was going through its clinical trials there was no heart valve damage. WOLFE...in other words, experimenting on the entire population in this country. Not a good idea and as I said there's another diet drug called Qsymia that was approved earlier, same kinds of problems. Not approved in Europe because they thought it was too dangerous but approved here. WOLFESo I think the larger problem is why is the FDA approving so many drugs that have dangerous but no real, unique benefits? And the answer is complicated but worrisome. REHMWhat is your personal relationship with people at the FDA? WOLFEWell an example is a drug for Alzheimer's disease called Aricept 23, is a drug that was 2.3 times higher in the amount of drug there than Aricept which is the biggest-selling Alzheimer's drug ever. The drug was tested. Half the people got the low dose, half the people got the high dose, the 23. WOLFE...vomiting and things, someone who has Alzheimer's disease can die if they vomit and aspirate and get pneumonia. The reviewers at the FDA all said don't approve this drug. It's too dangerous. It has risks that greatly outweigh the benefits. They were all overruled and it was put on the market. WOLFEThis is not the only example. The drug Meridia Sibutramine which is a diet drug which was put on the market in 1999 and was put on the market over the objection of the doctor at the FDA who said it causes blood pressure to go up. It causes pulse to go up. Those are the last things in the world you want for someone who is already overweight, the risks. WOLFEHe was overruled. The drug came on the market. It is now off the market. So, too often the reason I have good relationships with the people in the middle is that they are concerned. They're public servants and too often they're overruled. The FDA is too eager to please the drug industry that funds most of its drug review. REHMAnd that's why these drugs that the doctors say should not go on the market get put on the market because of pressure from the drug companies? WOLFEYeah, there's nothing corrupt about it. It's not that drug companies are bribing someone. It is that about two-thirds of all the money the FDA gets for reviewing drugs comes in cash payments directly from the industry and it changes the relationship. It changes the attitude. WOLFEThey're paying for jobs. The jobs are important but they are too important to be left to funding by the drug industry and so it's really changed the balance. This has been going on for 21 years now and in our view some of the worst drugs, some of the worst decisions on approving drugs have happened since 1992 when that funding law into effect. REHMSid, talk about generics and the percentage of prescriptions Americans take that are generics. WOLFEIt's an important question because we generally favor generic drugs for several reasons. One, they've been on the market long enough that there are going to be fewer surprises. It's less likely that a generic drug will be taken off the market than a brand-name drug because it's gone through the hoop of experience and use. WOLFESecondly, they're less expensive by definition once the patent expires. That is not to say that no generic drug ever has any problem. They do have problems and one of the problems for the generic industry has been that they have not had the ease in changing their label to warn about new kinds of things. WOLFEAs a result of that there have been lawsuits against generic companies and the courts have said the generic company was handicapped from changing the label and therefore they're not going to be liable. We asked the FDA two years ago, two years ago in August, next month to make it easier for generic companies to be able to change their label when new information about harm comes in. WOLFEThey have just recently in the last few weeks responded to our petition and said they're going to do that. That's good news because it means that there will be parity or equity between generic companies and brand-name companies in terms of how easily they'll be able to change the label. WOLFEAs a result of that, no longer will people who happen to be injured by a generic drug, not be allowed to sue because the company will not have the excuse, a legitimate excuse up to a point, that it was too difficult for them to change the label. WOLFESo I think the big picture on generic drugs is in our book, "Worst Pills, Best Pills", and on our website WorstPills.org. Many of the drugs that we say are the best pills are the generic pills because the newer drugs we're very worried about. WOLFEWe published an article in the Journal of American Medical Association a few years ago saying that in the first seven years that a drug is on the market, a new drug, it is much more likely to either be taken off the market or to be subject to a new black box warning about something that was either not revealed or known. WOLFESo we say don't use any new drug until it's been on the market for seven years unless it's a breakthrough drug, a cancer drug, a drug that really is different, has a unique benefit. That's okay. And so the default for our saying that is here is a generic drug. It's been on the market for 20, 30, 40 years. We know something about it. Yes, it has problems but yes, when the new problem comes up now the generic company will easily be able to change the label and keep people who are using generic drugs as informed about the risks as anyone else using other drugs are. REHMAre you encouraged by the changes you've seen in the last 40 years as far as the drug industry is concerned? WOLFELike everything else it's a mixed bag. For a while the FDA was getting better. They were being more vigilant. The people heading the drug division at the FDA I think were more careful, well informed but then with the funding coming from the industry it has gotten worse since 1992. REHMDr. Sidney Wolfe, founder and senior advisor to Public Citizen. He's retired as director of health policy at Public Citizen, short break and right back. REHMAnd welcome back. Dr. Sidney Wolfe is here with me. You know him very, very well not only from this program but because of all the work he has done to try to keep the public safe from bad drugs. Some that are on the market that have been approved by the FDA about which he has warned. He's also been very outspoken regarding generic drugs. He is the founder and senior advisor for Public Citizen, recently retired as director of health research at Public Citizen. REHMWe are going to take your calls shortly, 800-433-8850. Send us your email to drshow@wamu.org. I'm worried about the process, as you describe it, the testing of drugs at the FDA, the warnings of doctors who do those testings and then being overruled. Does the public always have that knowledge at hand that the doctors in the middle ground have said no and the guys at the top have said yes? WOLFEThe answer is unequivocally very rarely, because the documents that show that are there buried on the FDA website. We use those documents, which have never been published in regular medical journals, as the basis for asking for drugs to be taken off the market. For example, a very big selling diabetes drug called Victoza. It's been on the market for several years. It now looks like it causes pancreatitis and probably pancreatic cancer. WOLFEWe've asked the FDA to ban this drug and most of the information that we use to ask for this drug to be taken off the market were these unpublished comments there but buried on the FDA website of the people that reviewed the drug, including a couple people who said, this drug is too dangerous. It does have some benefit. It lowers blood sugar but it has some serious risks that are not shared, at least at that point, with other drugs. WOLFESo it continues to be the case that there are people in the FDA who are knowledgeable, they are physicians, they are drug safety experts who know that there's a problem. But too often they get overruled. This drug Victoza is one of a rapidly growing family of diabetes drugs. The other two of which big selling drugs are called Januvia and Byetta. And all three of them look like they increase the risk of pancreatitis. And in the last six or seven months, information is accumulating that they also may increase the risk of pancreatic cancer. WOLFENow why would someone -- for a drug that is really not -- there are ten different classes of diabetes drugs on the market and some of them actually have evidence such as Metformin of decreasing heart attacks and so forth. These three drugs lower blood sugar but they increase the risk of pancreatitis. And a couple of them also increase the risk of thyroid cancer. So what is going on here? WOLFEThe doctors who are taken out for lunch, who are given consulting fees by companies and generally treated very nicely by the drug industry are enthusiastic for a new drug, it's like a new kid on the block, a new drug we can prescribe this. They are much more aware of the benefits, so to speak, lowering blood sugar than they are about the risks. But now about a year or two after these drugs have come on the market, the evidence is mounting that there are problems. And people generally don't know it. WOLFEI mean, we go through this kind of evidence. I mean, that's really the question. Do people know? Generally not. We are hard working. We have a former toxicologist, pharmacologist from the FDA who's been on our staff for 14 years. She left because when she was raising questions -- Dr. Elizabeth Barbihan (sp?) -- when she was raising questions about drugs, they weren't listening to her. And she's now getting praised for doing the kinds of things she got criticized for at the FDA. WOLFESo our job really is to look through these documents and see whether there is some problem. If a drug has no unique benefit, there are plenty of other drugs around that do the same thing but it has unique risks, it shouldn't be approved in the first place. Or if you find out that there's a problem, it should come off the market at that point. These are just a couple examples of drugs. WOLFEDarvon. Everyone knows about Darvon. We warned not to use it in 1988, which is 22 years ago. It was finally taken off the market just several years ago. Millions of people use this drug. There was clear evidence way back then that it caused a problem. Another drug is this diet drug we just talked about, Meridian, Sibutramine. We asked people to stop using it the year after it was approved in 1998. It came off the market in 2010, 12 years later. As we said before, that was a drug in which the physician at the FDA said, don't approve it. It's too dangerous. WOLFEWell, he was right but millions of people took the drug and many people had heart attacks and strokes because the FDA didn't pay attention to him. Another example of a drug is Rezulin which is a widely selling diabetes drug. We told people based on the evidence that we saw in the FDA files to stop using it in January of '98 and it came off the market two years later. So this information, which is accurate, peer reviewed and so forth is on our website worstpills.org. But why is it that we are ahead of the FDA? WOLFEThe FDA has hundreds of people to look at these drugs. They have all the results of the industry's own testing on it. And when it shows a problem, they should use what we would call the precautionary principle, when in doubt don't put it on the market, or when in doubt take it off the market if it has no unique advantage. REHMAnd why is it that it does take the public so long to catch up? You say you've published these notifications on your website, these warnings are there. Why are they not published in newspapers? Why are they not more widely distributed? WOLFEI think that in the old days when people like Mort (sp?) Mentz and others were around, it was more likely that these things would get published. One of the other new things, which is really frightening and unfortunate, is that in 1997 FDA raised the gate and allowed a flood of direct-to-consumer advertising for prescription drugs. So people get advertising that emphasis the benefits, accentuate the positive, eliminate the negative. We remember that song from way back. That's what drug advertising is and they get away with it too often. WOLFESo people will go to their doctor and say, you know, I saw an ad for this new diabetes drug. It looks terrific. Why don't you prescribe it for me? And the doctor says, well you know I read some good things about it. Let's just try it. And that's the beginning of the use of this drug by one or thousands or millions of people. These diabetes drugs are heavily -- Victoza, the one I mentioned that we've asked the FDA to ban because of pancreatitis and because it looks like it causes pancreatic cancer, widely advertised, widely promoted. WOLFEPaula Dean, a well known cookbook person was the front person, until she got in some trouble with some racist kind of language, for the company Novo Nordisk, a Danish company that makes the drug. So they use celebrities to push these drugs. And the doctor's susceptible to patients asking for drugs. There's a whole new dimension since direct-to-consumer advertising started now essentially 15 years ago. REHMOkay. I want to ask you now about compound pharmacies, how they got started, how they took hold and the damage some of them have caused. WOLFEWell, I think the background is that before there were drug companies there were neighborhood pharmacists who did compounding. They would put together, at the request of your doctor, a cream or a pill or whatever, and that was good. But what has happened is a far cry from that. Some of these people said, why don't we get bigger and instead of just responding to a prescription from a doctor, let's make thousands of vials of an intravenous fluid or pills or whatever else. And these are the compounders. REHM(overlapping) How am I going to know? WOLFEWell, one of the things that seems to have disappeared was a label that would've said, this is made by a compounding manufacturer. In the Senate bill that has already cleared through the Senate HELP committee, the Health Education Labor and Pension committee, that provision was in there. And it looks like it may be taken out. WOLFESo in the face of all these problems with compounding from manufacturers it looks like some legislation will pass that will significantly weaken FDA's authority. Right now they can treat them as drug companies and make the same kinds of demands of them that they can make of regular drug companies. But the companies don't like that and they're saying, we don't want to have to do all this because we won't be around for you when there's a drug shortage. So we are strongly opposed to any kind of legislation that weakens FDA authority over and makes for more of these New England compounding disasters that we've seen. REHMHave they asked you to testify? WOLFEWell, I'm only laughing because we would've loved to have testified in the senate when this came up. We met with 28 staffers on the Senate committee and told them six or seven months ago what was wrong with the bill. We would've loved to have testified in the House at this hearing today, but that's not happening. They have groups that are more in favor. WOLFEI mean, one of the interesting issues of the generic drug industry -- the generic drug industry has to adhere by all of the rules. They have to get their drugs approved. They have to adhere to manufacturing standards and so forth. And you would think that they would be opposed to anything that weakens the rules for their competitors, the compounders. They are testifying today but we are concerned that they are not taking as strong a stand as they should against this pending legislation. REHMWhat kind of answer did you get? WOLFEWell, they think that some of the provisions are okay and some of them aren't okay. I mean, the only way legislation that we and others think is bad is going to get stopped is if people say, I'm opposed to it. The pharmaceutical industry, pharma also has to adhere to high standards. That's not to say they don't approve dangerous drugs, but in the manufacturing process, which is (word?) what we're talking about in terms of compounding, they have to adhere to these standards. We would love for them to oppose this legislation. It is not clear that they will. REHMAnd you're listening to "The Diane Rehm Show." We're going to open the phones now, lots of questions out there. Headphones for you so that you can hear these phone calls. Let's go first to Oklahoma City. Hi, Mark, you're on the air. MARKCan you all hear me? MARKWell, I need to explain before I ask my question. I've been a member of Public Citizen for almost 20 years. And I've been reading the health letter for almost that long. And my wife has got type II diabetes. And several years ago she was prescribed Avandia, which I think was eventually pulled off the market. And then after that she was told that the next thing that would be the latest and greatest was Actos. And of course they had all these legal ads about how Actos causes bladder cancer and this, that and the other thing. MARKWell, the latest latest-and-greatest thing that she's currently being prescribed, I never have heard of before and I want to see if Dr. Wolfe has heard of it. It's called -- I don't know how to pronounce these things. I think it's called Onglyza O-N-G-L-Y-Z-A. It's a confabulation of Bristol-Myers Squibb and AstraZeneca. WOLFERight. Well, let me just go back to the earlier part of what you said. Avandia should've been taken off the market. We asked the FDA to ban Avandia in 2008. And it came up before an advisory committee meeting in 2010 and many of the people on the advisory committee said it should be taken off the market. It was taken off the market at that time all over Europe. It was left on the market here in a very limited distribution. I just testified at a hearing several weeks ago on this and raised the question, why is it still on the market? MARKWell, it kind of causes a little bit of concern where my wife will be prescribed these things. I will have read the latest health letter and (word?) it will have something about Avandia. So then I'll tell my wife, well don't take it. And then her doctor says take it and I say, well hell, if a research letter says don't take it and so that kind of puts my wife in a quandary. Does she go with the doctor or does she go with me? WOLFEWell, you're talking about Worst Pills, Best Pills News, not the -- the health letter's our other newsletter. Worst Pills, Best Pills News is the one where we talk about drugs. And as I said, now it is online worstpills.org. We have not yet thoroughly reviewed Onglyza. We will be because, as I said, we've looked at several of the other drugs in this family and they all look like they're having very serious problems. REHMWhy isn't the doctor recommending Metformin? WOLFEWell, that's a good question. 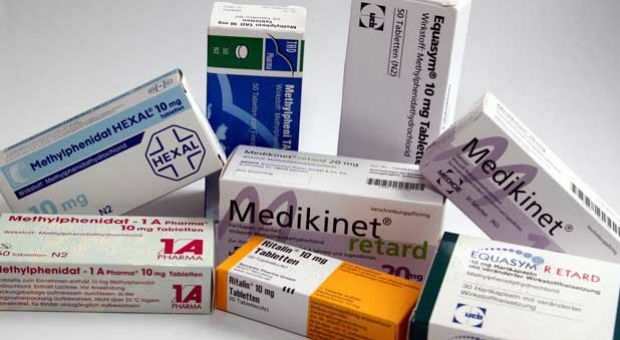 Metformin is probably the most widely prescribed diabetes drug. So it isn't as though no doctors are prescribing it. REHMAnd how long has it been on the market? REHMSo it passes your test. WOLFEYeah, it passes our test and it's a drug that we recommend. In Worst Pills, Best Pills we will say try Metformin, not one of these newer drugs about which there aren't going to be surprises the longer it's on the market. And many of them will come off the market. We think that this whole family of newest diabetes drugs, the ones that we're worried about the pancreatitis, are going to have to come off the market. Why should someone be a guinea pig for drugs that shouldn't be on the market just because the FDA hasn't taken them off the market yet? REHMAnd answer Mark's question. How does he get between his wife and her doctor? It's really a good question. REHMTake the letter in there. WOLFEWe actually -- in an article I wrote that will come out in a couple weeks or so, I said, take this article in and talk to your doctor about it. Don't stop a drug without talking to your doctor. REHMAnd there you go, Mark. Good luck to you and to your wife. Short break, we'll be right back. REHMAnd if you've just joined us, Dr. Sidney Wolfe is here with me. He's just stepped down as director of health research at Public Citizen. He is a founder and now senior advisor at Public Citizen. He will continue to do the research into the drugs that you and I take every single day, and keep his eye on what's happening. I talked to someone the other day, Sid, whose wife was on statins. She was also having memory problems. He got on the web and found out that statins can cause memory problems, and immediately talked to her and her doctor. She came off the statins and within two days seemed to improve. What's going on? WOLFEI think the larger question -- and we'll talk about this specifically -- is drug-induced disease, particularly when people get to be 50 or 60 or 70. They may have some memory problems. They may start getting Parkinson's. They don't realize that although most memory problems and most Parkinson's are happening "naturally," that an increasing amount of them are happening because of drugs. So there are a whole list of drugs that can cause delirium, that can cause hallucinations and that can cause dementia, memory loss. WOLFEAnd doctors really need to be aware of that. Part of diagnosing any disease, whether it is dementia or Parkinson's disease or whatever else is saying, "Are you taking a drug that might have caused that?" And particularly when you take a history and find out that that problem started right after they started a statin, in this case, or a drug that can cause Parkinsonism. And I think that drug-induced disease -- a doctor, understandably, is trained well and likes to think that they are benefiting patients. And most doctors are having an enormous benefit on patients. REHMDo statins have that reputation? WOLFEThere are some studies showing statins may worsen memory, but I think that one of our ten rules for safer drug use, which are listed on our website, are make a list of every drug you're taking, prescription, over-the-counter and dietary supplements and bring it to your doctor, because every doctor should have a complete list of what you're taking because she or he might put two and two together and realize that a disease that they thought that you had, that it occurred normally and naturally, was actually drug-induced. WOLFEAnd if they have that complete list, it's one of the more important kinds of things, because the more drugs that people take, which happens as they get older, and as drugs get promoted more, the more chances they have of an adverse effect or an interaction between two of these five or six or seven drugs. So rule number one for safer drug use, bring a list of everything you're taking into your doctor and ask them to put it in your chart so anytime some problem comes up they can say, "Is this drug-induced or is it occurring naturally from some unknown cause?" REHMHere is a tweet saying, "You spent time advising FDA as a member of the drug safety advisory committee. Was that time well spent? What did you learn?" WOLFEThe tweeter is referring to the fact that for four years, from 2008 to 2012, I was a member, much to the chagrin of the industry and at least the people up top, of the FDA -- some of them -- of the drug safety and risk management advisory committee. And it was an advisory committee that was brought in because of the concern that the usual advisory committees, whereas they were well versed on the benefits of drug, didn't know or understand or know how to go after analyzing the risks of a drug. And I spent a huge amount of time doing my homework for that committee. WOLFEWe would be sent hundreds of pages of information a month before the meeting. I would look at it. And, to me, it was very well worth doing. I was able to raise some questions about drugs that were already on the market, raise questions about drugs that weren't on the market. And I think that I got some kind of plaque. I hope it was sincere from our participation on the committee. I think other people get that also, but it was definitely well worthwhile. I wish I were still on the committee. The four-year term is limited. Hopefully, in another four years or three years, when the interval expires, I will go back on the committee. WOLFEWe still go to these meetings, but now I go as a member of the public and I'm allowed 5 minutes or 10 minutes or 15 minutes to present the information, which I don't get a month advance. I get it two days in advance. REHMI see. All right. Here's an email from Stan, in Cleveland. He says, "When new drugs are tested are they rated versus current therapies and costs or are just the absolute ratings given out?" WOLFEStan in Cleveland, I'm from Cleveland also, so always interested in hearing a good question from there or anywhere else for that matter. Ideally, if you've got a drug that's already in the market, it's been there for a long time, you know more about it, a new drug comes along and the challenge to the new drug should be, is it as good or better than the old drug? WOLFEIs it as safe as the old drug? The companies sometimes do that, more likely with antibiotics, but too often you don't know exactly how this new drug is going to stack up against an old drug. And as I said before, the old drugs that have been around for a long time, they're less likely to be taken off the market, they're less likely to have these dangerous surprises coming up. WOLFESo the answer is, we don't have that. This is called comparative effectiveness. It's research that winds up getting done much more by the government than it does by the drug companies, because the drug companies might put up a drug and it might not be as good as the older drug, and it's all over for them. REHMAll right. To Orangeburg, S.C. Hi there, Eric. ERICHi Sid. I've saw you on Phil Donahue through the years. And my mother started the Orangeburg County Consumer Health Council. Now, they hijacked their name, The Family Health Centers, Inc., here in Orangeburg. She met you through Dr. Jack Geiger (sp? ), B. J. Warren (sp?) and Mel King back during the Health Center formation years. ERICAnd I wanted to get two quick questions in. Could you kind of write this down, Dr. Wolfe? I want you to discuss your opinion on Ritalin. And I would like to know about your feelings on the prescription drug bill and why they couldn't -- how you feel about -- how can we get the HHS to be able to negotiate like the Vet? Because what I think you physicians are going to finally have to do -- because I listen to physicians for a national healthcare plan. I think what you guys are going to have to do is form your own insurance company in the formation of doctors and get business people in it. WOLFELet me get to the Ritalin question. Ritalin, as you know, is a drug that is used for attention deficit disorder. Like many of these drugs, they work if someone really has that kind of disease, but they're grossly overused. They're being used to stay awake so you can study for exams. They're amphetamine-like drugs. So it isn't as though this drug should be taken off the market. I think that too many times for a child the problem is not having a good experience at school or even not having a good experience at home. And instead of trying to deal with that more difficult thing, they say, "This kid has ADHD. We're going to put them on a drug." WOLFESo I think it's a matter of, if they were used properly, that whole family of drugs would probably be used at half or a third as much. In terms of the drug price issue, one of the things that was unfortunately done by the administration on the way to trying to get people to approve of the Affordable -- or as we call it, Unaffordable Care Act, was the promise not to control drug prices. Now, as you know, which is why you raised the question, drug prices are out of control. The Veterans Administration and the Defense Department -- not just the Veterans Administration -- negotiates prices and they get lower prices. WOLFEIf we had a single-payer system, where everyone was covered and all the purchasing was done as it is now done for the Veterans and for people in the military, drug prices would come down, just as they are in every other country in the world. I don't think that there's something wrong with every country in the world and only we are right. I think we are wrong on this issue. We're wrong on health insurance, and your question is a very good one. We need to control drug prices. They're out of control. REHMAll right. To Jennifer, in Frederick, Md. Good morning, you're on the air. JENNIFERGood morning. Thank you for taking my call. JENNIFERI just had a comment. Earlier in the show you were speaking about the newly approved diet drug. And, I'm sorry, I've forgotten the name of it already. But I thought it -- you mentioned how drug companies accentuate the positive, downplay the negative, but it seemed like you were doing a little bit of that yourself when you dismissed the statistically significant weight loss, but sort of pumped up the statistically insignificant heart valve damage. You know, if something just is statistically insignificant, it really didn't happen. And I wonder if you could discuss that. WOLFEWell, I think that we need balance. I mean the decision on any drug, which is really what you're getting at, is do the benefits outweigh the risks? And so you measure the benefits. And for this drug, Belviq, yes, it causes a 3 percent weight loss, statistically significant, more than a placebo. But how does that compare, a six pound weight loss for someone that's 200 pounds, with an increased risk of heart valve damage in a drug that showed it in the small relatively small number of people that were studied before its approval? WOLFESo I think that the question is, how do the benefits and risks balance out? In many cases, the benefits exceed the risks. Those drugs should be approved. They should stay on the market, but when a very serious risk, heart valve damage, is put up against a relatively small weight loss, even if it's statistically significant, I think the benefits don't outweigh the risks. And that's what we try and talk about on WorstPills.org. REHMLet's talk for a minute about doctors, how you know if the doctor you've got is the one who's really going to take good care of you. WOLFEWell, I'm going to tie this momentarily to the issue of drugs. A bunch of reporters on ProPublica have put up a website called Dollars for Docs. And you can look up for tens of thousands of doctors, how much money they get from drug industry. They now have added to it, the number of prescriptions written by these docs for certain drugs. And there's a correlation between the two. But I think the larger question you're raising is how good a job do state medical boards do in disciplining doctors? WOLFEFor 25 years we have been ranking the state medical boards from best to worst, best boards, worst boards, just like the pills, in terms of how often they discipline doctors. And some states, year in and year out, Ohio, the state I come from, and a few other states, do a very good job. Other states, like Pennsylvania, do a terrible job. WOLFEMaryland is not very, very good at all. I mean Pennsylvania, is we're talking about for a second because this doctor was recently convicted of murder for abortions. Forty years ago he was found using an unapproved abortion device, which caused near death in a number of people. He did this in Philadelphia. The medical board knew about it. They didn't take his license away. All of these terrible things that have happened recently at the hands of this doctor would have been prevented if that medical board had done what it should have done when enough evidence against the doctor came up. Too many medical boards are not disciplining doctors that need to be disciplined. REHMAnd how can people find out whether a doctor has run into trouble with a medical board? WOLFEMost medical boards have websites. Some of them are better than others. And you can look up, by the name of the doctor, whether the doctor has been disciplined by the board, in some cases, where they've been thrown off the staff of hospitals, malpractice payouts and so forth. Those websites aren't as good as they should be, but they're relatively new and it's worth taking a look at your medical board website. REHMAnd you're listening to "The Diane Rehm Show." Let's talk for a minute about off-label drugs like Botox, that I have to use for my voice condition. How often are doctors doing those off-label uses? WOLFEFor any off-label use. And yet, it's one of the biggest rising causes of criminal and civil penalties against the drug industry. The drug industry is the number one industry in the country, in terms of defrauding the government. And it is now exceeded the defense industry by quite a bit. And one of the biggest growing categories of illegal activity by the drug company, in terms of advertising, is promoting off-label use. They can sell four times more of a drug if they pretend that it works for something that they've never even tested it to see whether the benefits for that off-label use outweigh the risks. REHMBut the doctors are doing the testing, in affect. WOLFEThat is right. And if doctors, on their own, based on their experience, find something works, that is a very different thing than the company going on television, going in the newspapers, going everywhere else and promoting. REHMGive me an example of where that has been done. WOLFEWell, a good example is this drug, Gabapentin, Neurontin. Neurontin was a drug that was approved for a couple purposes, and we and others noticed that it was selling 10 times more drugs than you would expect if it were only limited to those purposes. And it turns out they were hiring doctors, who would get paid by the company, Pfizer was the company. They would go around saying, you know, "I've tried this for this. Why don’t you try it?" REHMWhat's it supposed to be used for? WOLFEWell, it's not supposed to be used for a number of kinds of things ranging from different kinds of pain and so forth and so on. The point was, this company was caught criminally violating the off-label use promotion, and yet, they paid the fine and then they kept doing it with another drug. The fines aren't big enough to stop the companies from doing this. REHMAnd that's the last word from Dr. Sidney Wolfe. He's just retired as director of health research at Public Citizen. And you can be sure we'll have you back again. Thanks for being here. WOLFEWonderful being with you, as always.